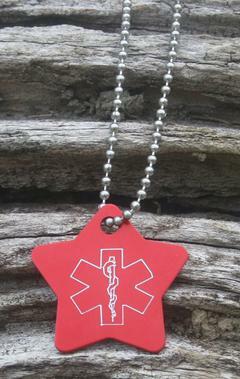 Our awesome star medical id alert necklace is great for just about anyone! 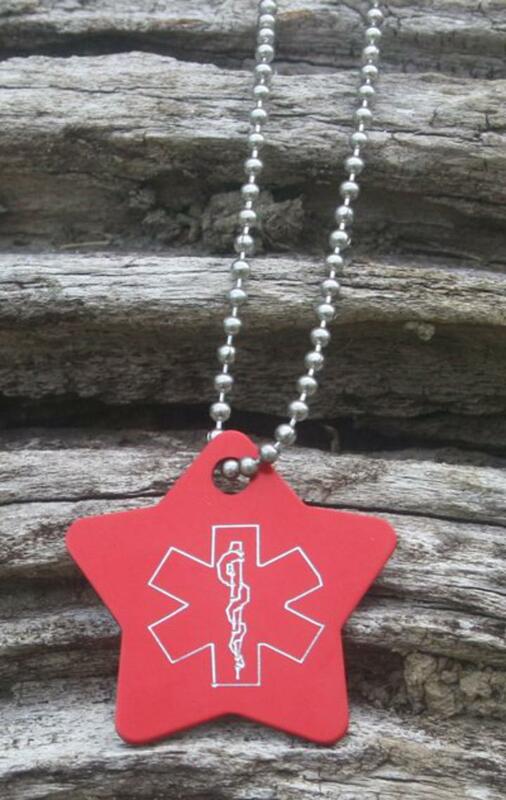 Medical alert star necklace has the medicla symbol pre-engraved on the front and will be custom engraved with your medical information on the back at no extra charge. Our star measures appr. 1 1/4" x almost 1 1/2" and comes with a 30 inch stainless steel bead chain which you can easily cut to your size!